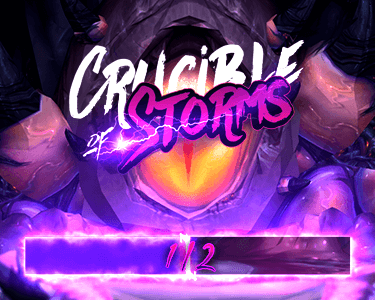 The MDI returned this weekend and we had another set of impressive matches across Saturday and Sunday, showing off WoW's best Mythic+ plays and players. On the Method side of things the weekend was tense, as we had not one but two family duels of the NA vs. EU variety. Nerfclap, JB, Lightee, Shakib and Yoda faced off against Naowh, Zaelia, Gingi, Fragnance and Meeres for the first time on Saturday in the upper bracket finals, with the EU team moving forward to the Grand Finals but not without finally dropping their first map of the season. Big congratulations to Method EU on their second consecutive cup win, as they stand at the top of the leaderboards with 280 points, $12,000 in winnings and, most impressively of all, a record of 8 wins in 8 matches! The NA team isn't far behind with 200 points and two second place finishes and a 7/4 win/loss ratio. It seems the Methods are set to be each others' rivals for the rest of the season (on the West side, at least), so we're sure to see even more Grand Finals match-ups like this in the future!